This weeks Mystery Object has proven difficult to guess, yet it is an item which many residents of Berowra, and the wider area may have used at one time or another. 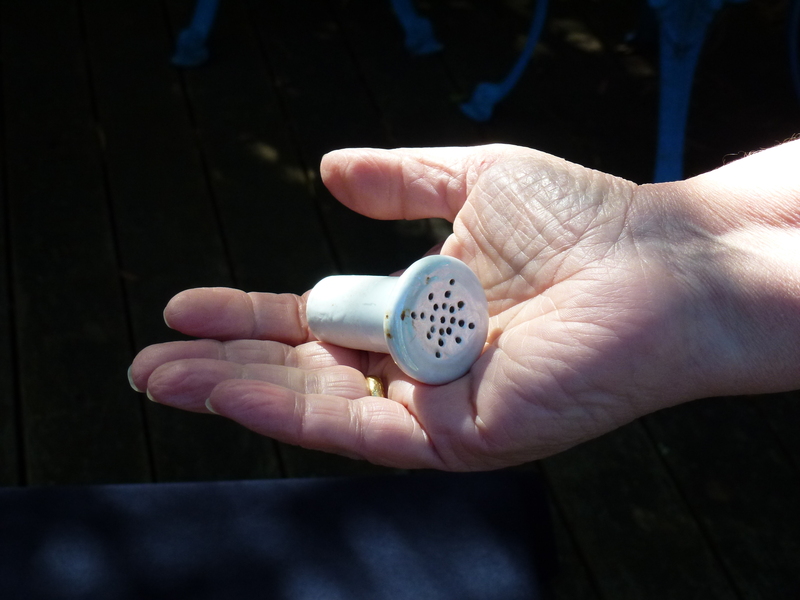 This item is an ironing sprinkler which would have been placed in the top of a bottle and used to wet down clothes in the time before steam irons. The clothes which needed ironing would be sprinkled with water from a ‘sprinkler bottle’, with a top like the one above. Then, the clothes would be rolled up and left overnight to ensure the water was evenly distributed. This allowed clothes to be ironed easily without leaving scorch marks.